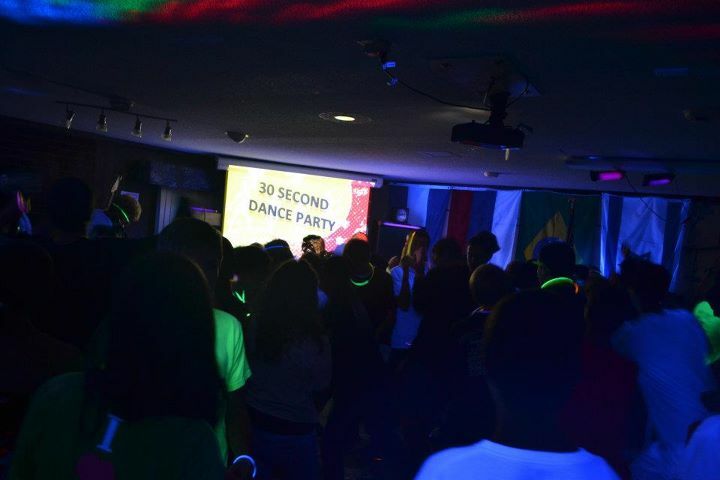 Every week at club we have a "30 Second Dance Party." Sometimes we have multiple "TSDPs," just depends on the flow of the evening. We typically place them in between two fast club songs near the beginning, just so it's one constant flash of crazy energy. Kids absolutely LOVE them. Who doesn't love to dance? It needs to bumpin', but clean. You can go old school with something like "Hey Ya," or new school with some "Dub Step." Ask kids to help you pick the songs. Make sure they are not just loud and fast, but also "danceable." Download a free audio editor like Audacity. Better yet, give a high schooler the leadership and responsibility of being a producer, not a consumer, and ask them to edit it for you. 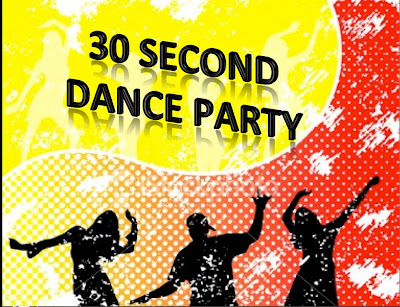 Choose the most "dancable" 20-45 second clip of a song. Embed that clip in your PowerPoint show so it plays as soon as the "30 Second Dance Party" slide is displayed. If you can plan well enough to have someone turn off the lights and turn on a strobe light, it puts it even more over the top. We borrow this sweet dance light from a high school gal in club that lights up with the beat of the music. Straight baller. Things can get out of hand pretty quickly, even in 30 seconds. Have the leaders, and senior leaders, strategically positioned in the middle of kids to keep the crowd-surfing and moshing to a minimum. If things get too rowdy, at the next club just make an announcement a few minutes before the dance party happens explaining the boundaries. If they're still too rowdy, take a break on the dance party for a few weeks. Gotta leave em wanting more! This idea is credited to the brilliant mind of a Zach Kreeger, YL staff in Broomfield, CO.